As I now have the car running on aftermarket management I am selling my standard converted loom and ECU setup from the Capri. 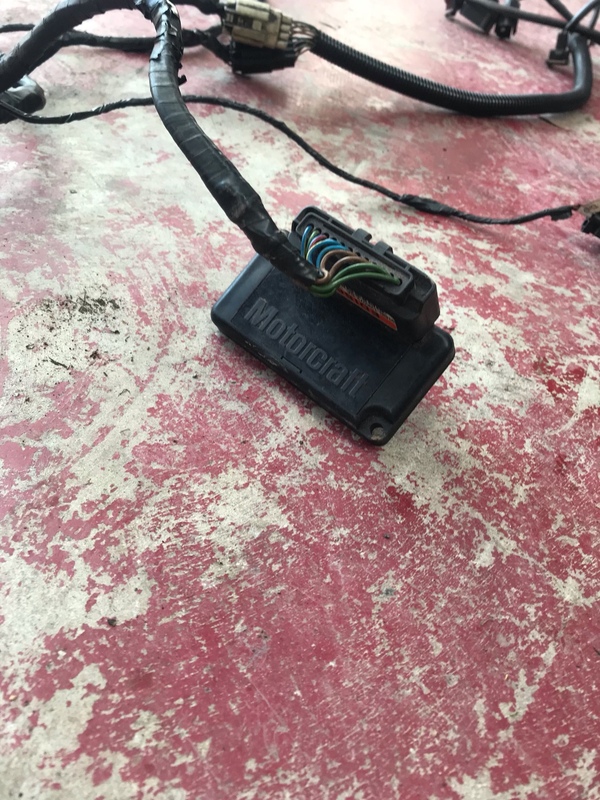 The loom was removed from a running car, and it is labeled so it’s really just a matter of connecting up a few wires and it will get you up and running. 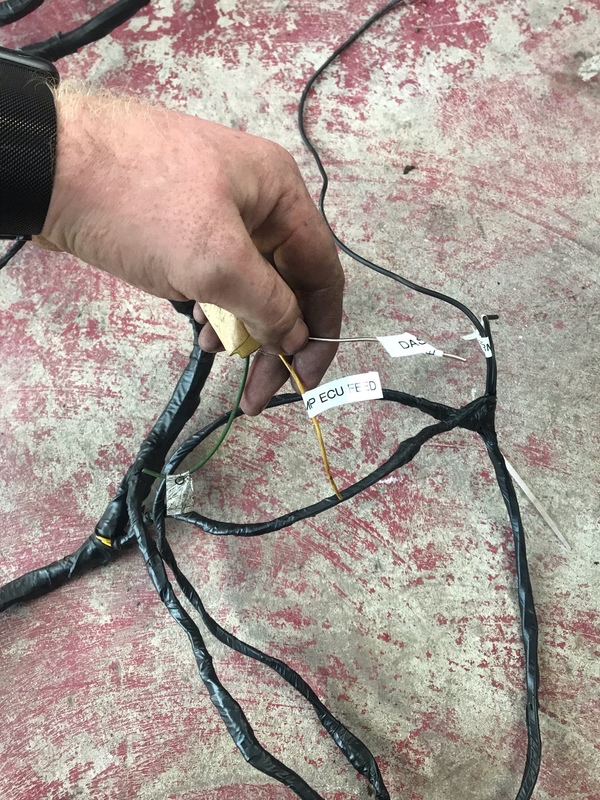 Obviously you still need to have a bit of an idea about wiring and how stuff works but it’s as simple as it could be. Will suit other cars too, not just the Capri. The engine part of the loom was got from ford as a NOS part when I did my build 2-3 years ago, so it’s not the usual cracked mess that most looms are. The loom has been adapted to take a BOB MAF as the BOA ones are very hard to come by, and the BOB ones flow better also. 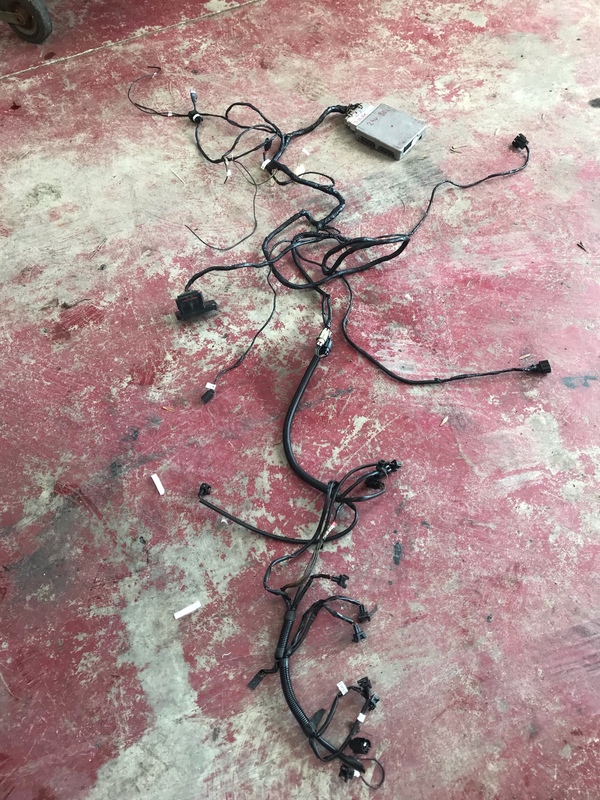 The ECU loom has been stripped out and any repairs that were needed carried out, and retaped. 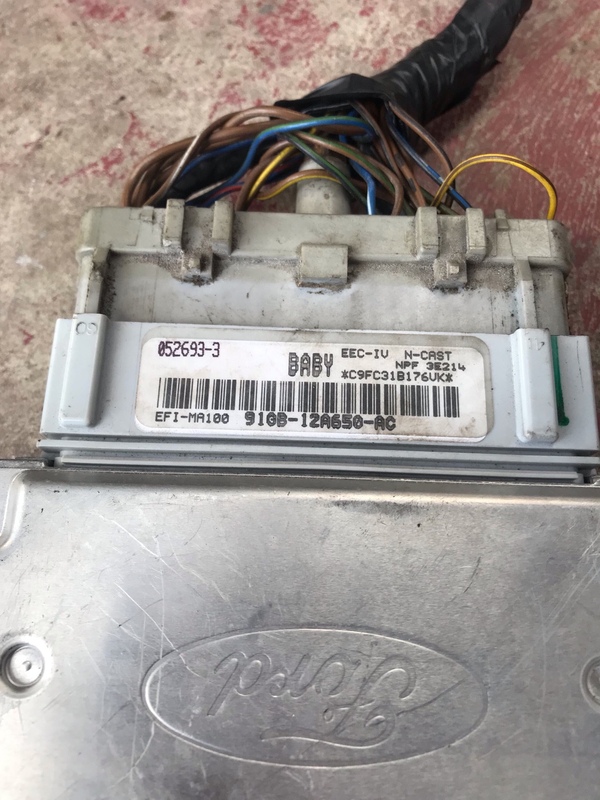 The ECU is a BABY version, the most powerful standard Ecu that came in the Granada Cosworth. This produced 212.7hp when I got the car dynod last year. This comes with the EDIS module too. Price wise, I am asking for £450. Try finding all the pieces separately for that price without paying someone to convert them, and this one has the added benefit of the NOS engine section too.